We're back with another Christmas Gift Guide, and this time we're talking all things stocking filler! I absolutely love buying gifts for Archie and Winnie, and last year I had so much fun putting together a little stocking of goodies for them. I'm planning on doing the same thing this Christmas, and thought you might like to see some of my ideas! I also decided to gather together a few bits that might be suitable for the dog lovers in your life, too. Now a stocking isn't a stocking without treats, is it?! This Barkwell Tart from Mickelmus Munchies is the perfect addition to any dog-friendly stocking, and my two absolutely devoured theirs.. I couldn't resist giving it to them early! The treats are wheat and dairy free, and there are other alternatives too, like their fab hamper and Christmas tree biscuits. 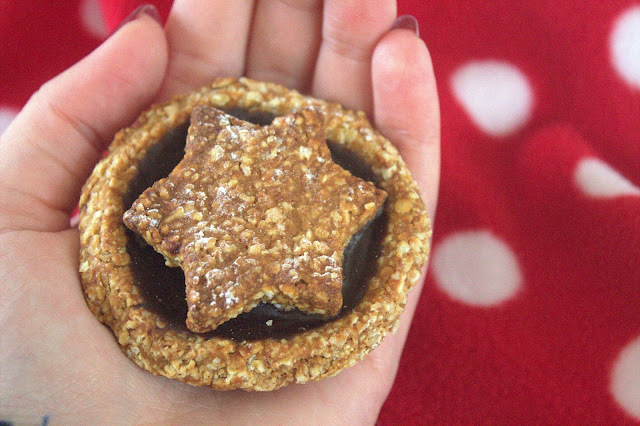 These dog-friendly mince pie dupes are a steal at just £1.50. Archie and Winnie will have a selection of treats and little toys in their stockings, but you'll see more of the toys in a future post! Do you have a dog lover in your life who collects pins? If so, this cute "Dog Person" pin from Lazy Pencil Co is the perfect stocking filler. Even if they're not a pin collector, this would look super cute on a bag or coat; I currently have mine pinned to my reusable daxie-print shopping bag! Lazy Pencil Co also sell adorable prints and pet accessories, so they're well worth checking out when you're Christmas shopping this year. Now I don't know about you, but I'm a mug/pottery addict. I absolutely cannot resist a good mug, especially if it has a dachshund or a yorkie on, and I'm sure most dog lovers are the same. 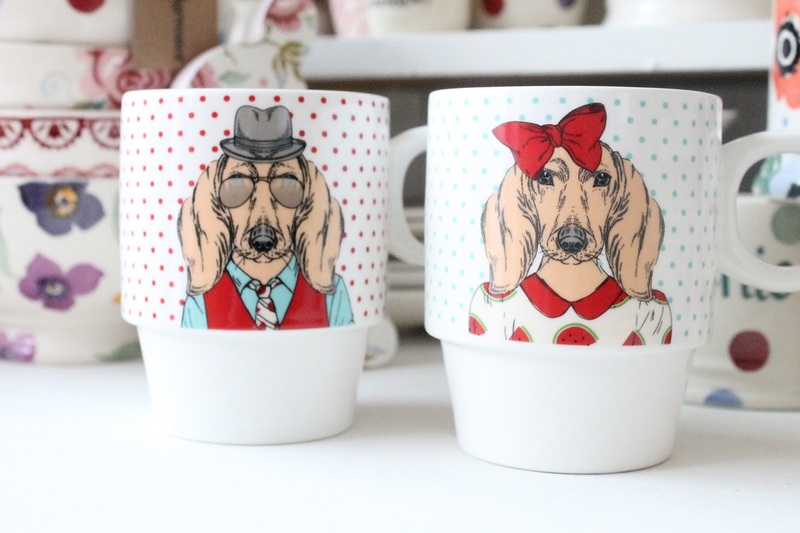 If you're stuck for a small gift, what about a mug with their favourite breed on? They're available everywhere, but places like TK Maxx or Home Sense are filled to the brim with dog mugs at the moment. There's something for every budget! This particular set I found in TK Maxx, but they're by a brand called Queenwest Trading Co.
Last but not least, what about a super cute keyring? 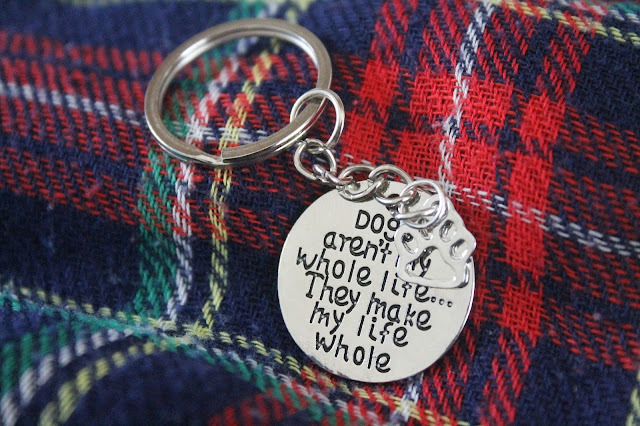 I love the sentiment on this one from Ruth's Handmade with Love. My two hooligans certainly make my life whole, and I'm sure any other dog lover would feel the same. I'd be chuffed to find this in my Christmas stocking! So there we have it, a few little stocking filler ideas for you. I hope you've enjoyed this post, and maybe spotted something that you like! What do you buy as stocking fillers? Share your ideas with me!